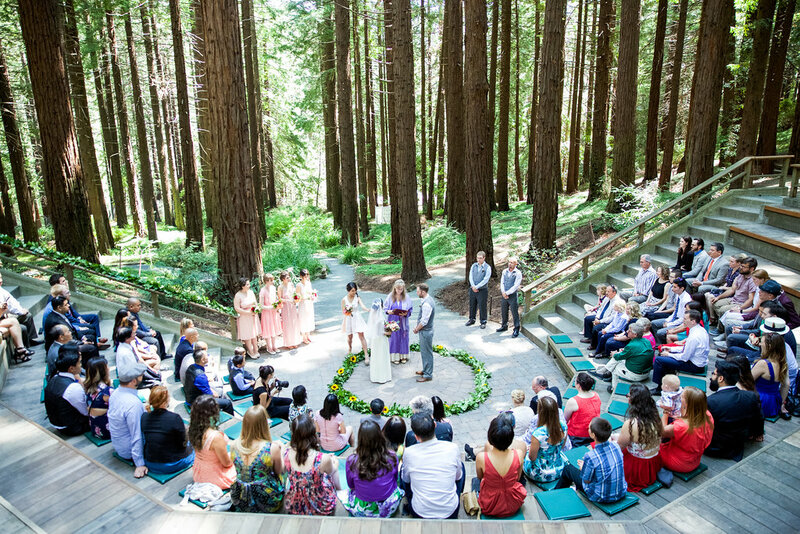 Set among the towering redwood groves of the UC Berkeley botanical gardens, Minh and Brittan’s wedding was an intimate gathering of close friends and family. 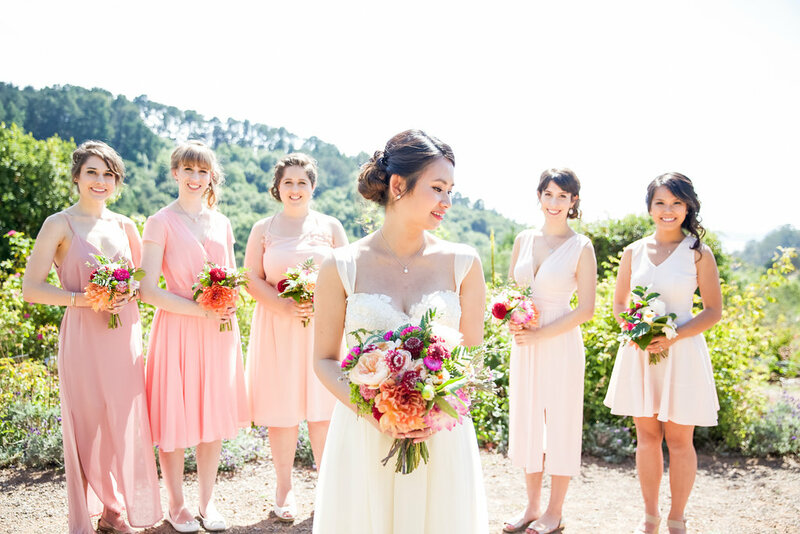 This soft-spoken couple had a very relaxed approach to their Sunday afternoon wedding. They wanted to focus on food, flowers and cultural significance. The grounds of the botanical gardens made for a perfect backdrop. Both the ceremony and reception were beautifully decorated with rich jewel toned flowers, many of which were displayed in beakers – a tie to the grooms love chemistry and work as a chemist. See more images on Airyka Rockefeller’s blog post!